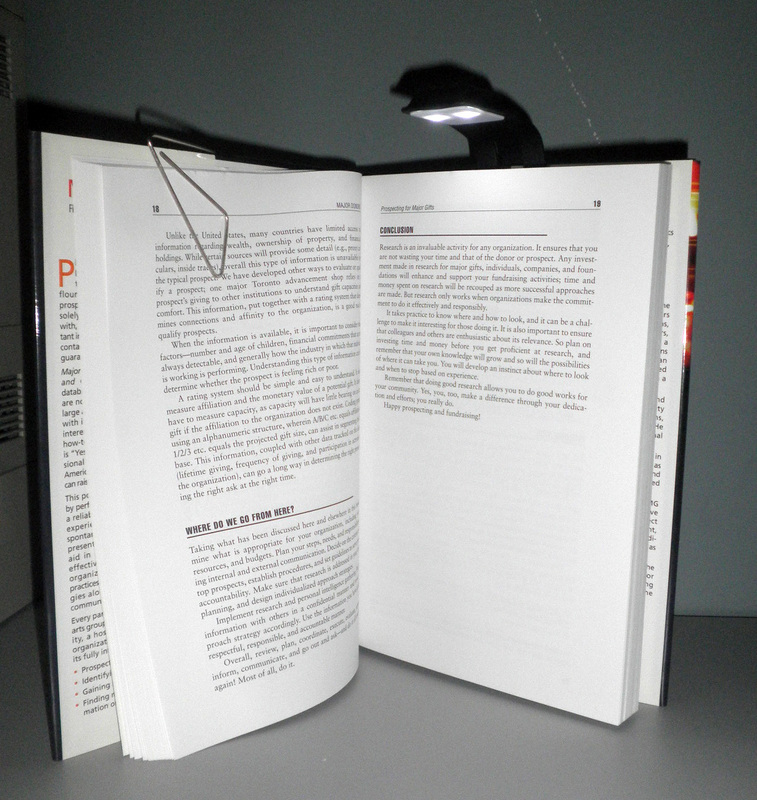 While I don't use reading lights much these days for reading, I do like having one handy in case I need a quick light to see what the cats knocked over. 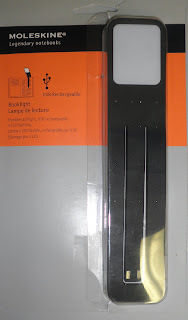 This Moleskine reading light caught my eye for it's design and the product material, which is some type of polymer that's very flexible and reminds me of Gumby. The Moleskine reading light works well as a book light, not the brightest I've ever seen but quite usable. If you're a Moleskine person, or into gadgets, then this is something you want to take a look at. I can see keeping this in my bag for lighting emergencies, or for when I'm going some place where a regular flashlight won't do (such as through a Federal security system, where batteries are frowned upon). 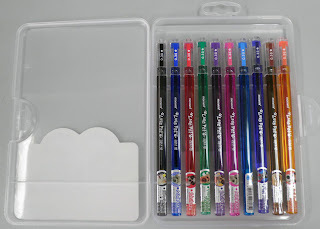 Many thanks to Brad, Pen Addict and JetPens marketing whiz, for generously feeding my habit for new pens by sending me a Uni-ball Jetstream 3 Color multi to review. 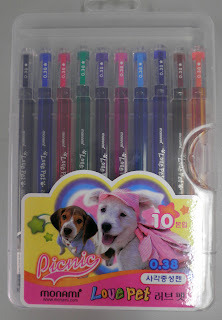 This one is has a navy colored body with a pink clip and plunger, something I know will stand out among all my other gel ink pens. I have several Jetstreams in my pen holder, including a different style of 3 pen multi and my favorite retractable ballpoint. 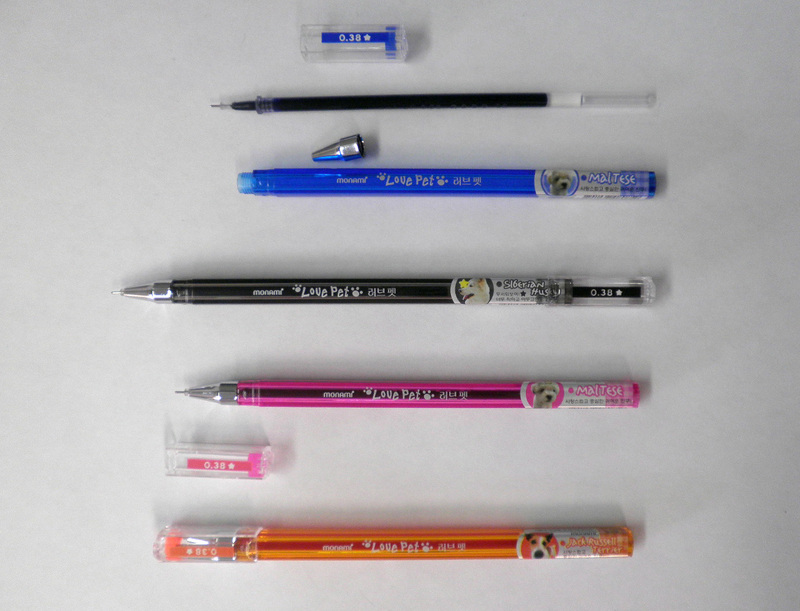 Pictured above is the navy/pink Jetstream multi next to the RT ballpoint, a nice comparison of the multi's dimensions. This Jetstream comes apart in the middle of the barrel, revealing the blue, black, and red ink refills. 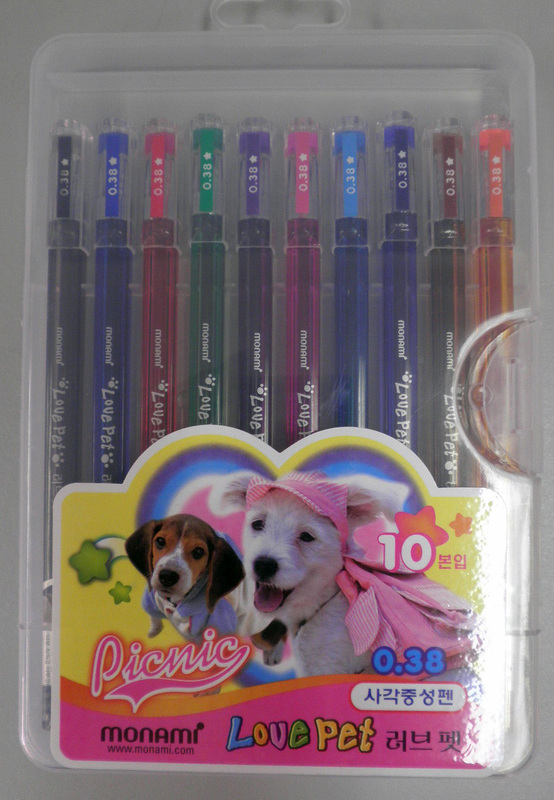 Uni-ball gel inks are a proprietary formula, and really do glide across the paper. 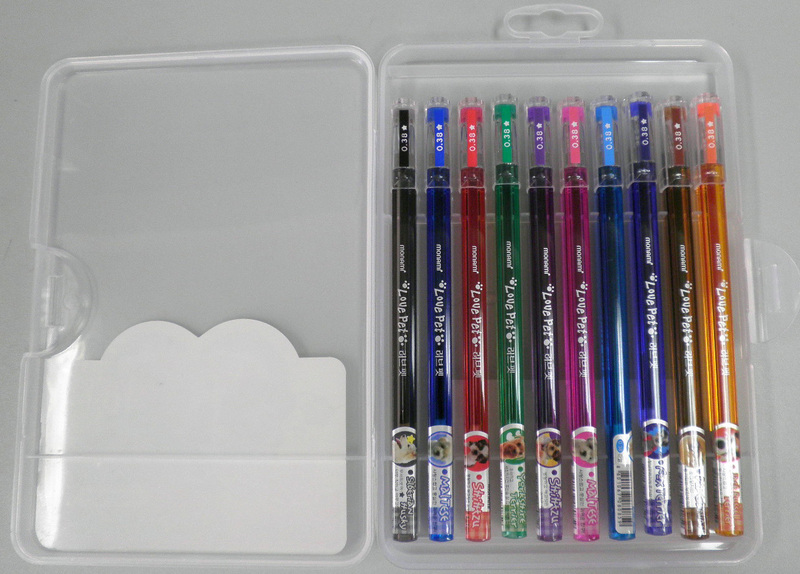 While this has 0,7mm refills, a medium-large width, you can also purchase 0.5mm refills and try out various other brands to see if they fit or have different colors. 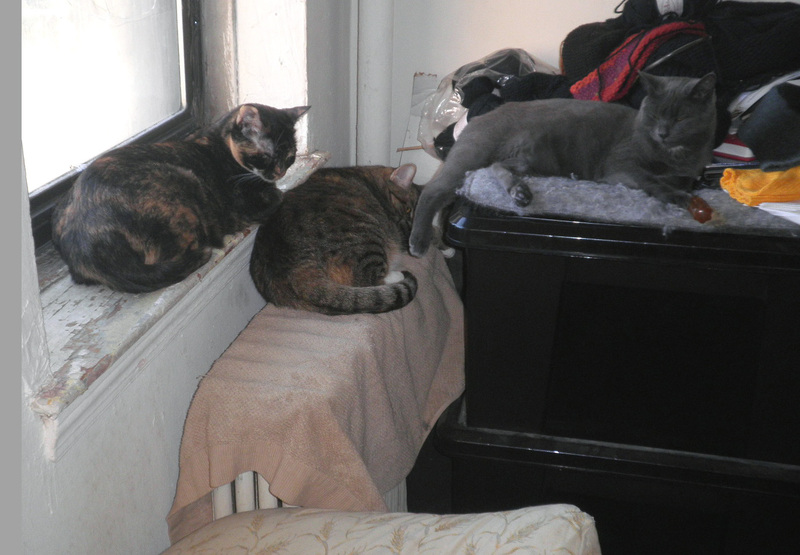 In this case, I'm quite taken by the brightness of their red, which has some yellow in it and really stands out. 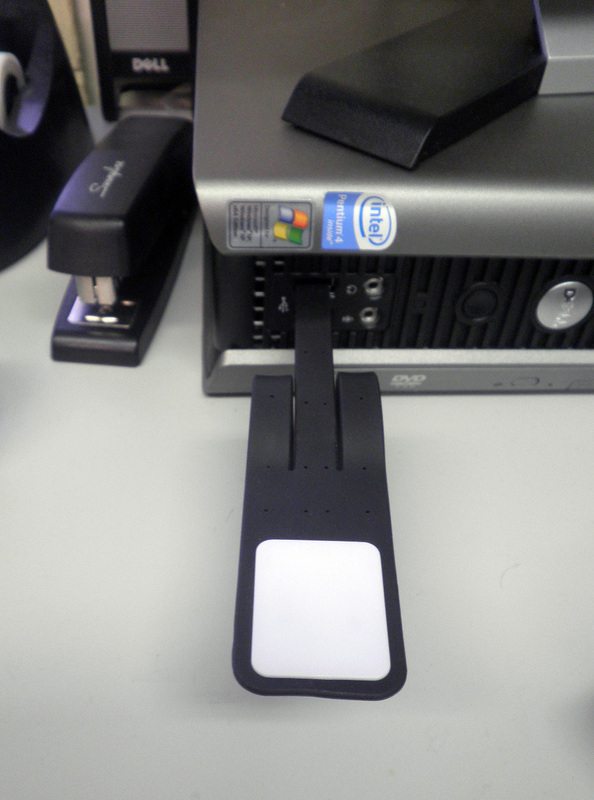 The clip is big and solid, and also stands out. 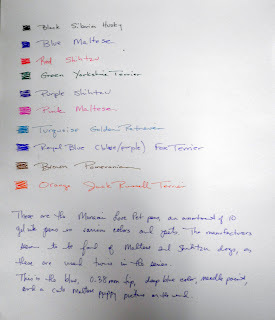 The Jetstream 3 Color Multi is a good looking gel ink multi pen, writes very well, and comes in an assortment of colors. Do take a look when you're at JetPens, particularly if you are interested in a multi pen. Maruman makes a lot of interesting notebook and office supply products, including the Mnemosyne and Sept Couleur notebooks, this caught my eye at Kinokuniya: a B5 sized black vinyl binder with 5 colored sections (B5 paper is 6.9 by 9.8). 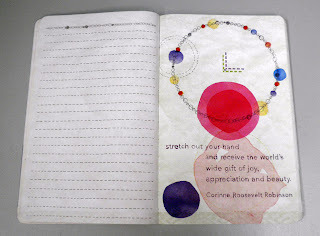 If you use sectioned notebooks for keeping your projects in order, this is a really great idea. 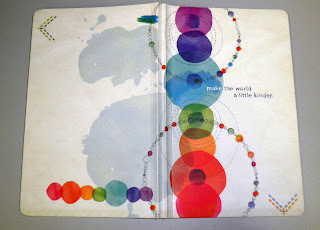 The colored tabs on the outside look striking next to the black vinyl binder, while the inside tabs can be further identified and described on this starting page. There is also space on each tab's main page for further description, or it can be left blank if you want the sections to remain pristine. What really makes this different is the way you load the paper: the binder unlocks at the bottom white rectangle, and the entire ring system slides out for greater ease. That is one of the sharpest designs I've seen, taking a plain ring binder system and giving it a memorable feature that distinguishes it from every other notebook and binder manufacturer. Here's a close up of the locking mechanism: the upper ring system has a screw-type nob that fits into the bottom hole, and when you twist the system locks back into place, snaps the rings closed, and there is an additional lock on the bottom of the system that tightens everything. So there's no way the rings can accidentally open, which sometimes happens and sends papers flying all over. 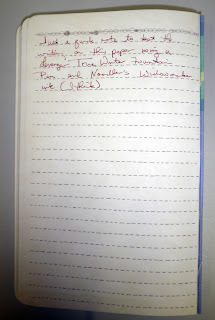 One thing I like about Maruman loose leaf paper is the variety of line widths they offer: 5mm (think Rhodia webbie), 6mm, and 7mm. If you prefer wider lines for writing as I do,the 6mm and 7mm are ideal. 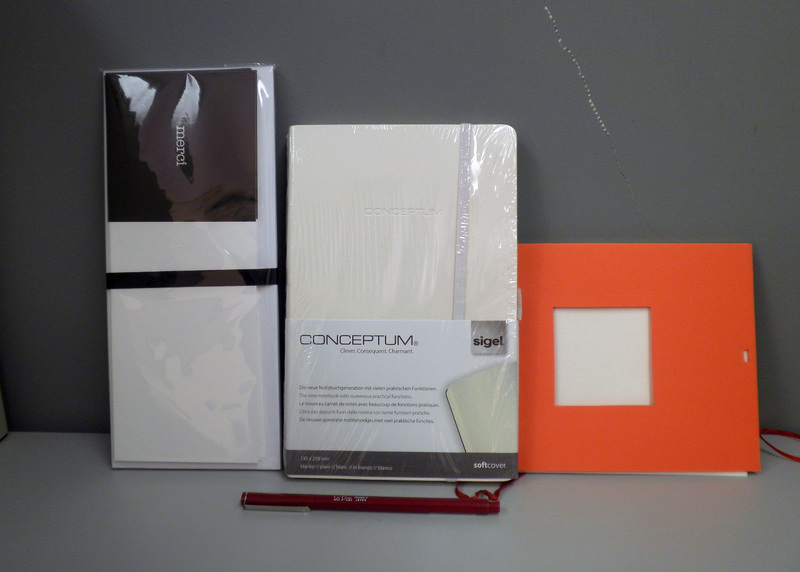 This is a really different tabbed binder system, with the front color coding and inside locking mechanism making it stand out from ordinary binders. Not sure where you can find one, but if you do see one definitely check it ou. 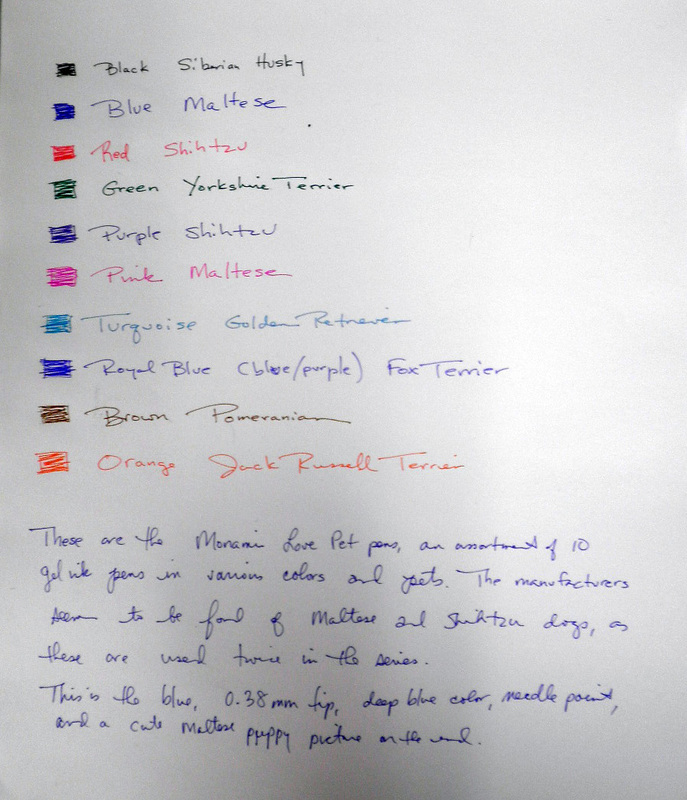 This is one of my favorite fountain pens that took some time to find, mostly because I was looking for the Azure (blue) color in a slim profile. The Parker Vacumatic comes in a lot of shapes and sizes: Major, Junior, Debutante, Sub-Deb, and whatever else. Mine seems to be a late model (1941-1945) plastic filler sub-debutante, a smaller model than the Debutante and measuring 4 9/16 inches capped (from nib tip to end it's 4.25 inches, and capped it's 5.25 inches). This plunger system, made of celluloid, was used in response to the lack of materials during war time. It's smaller in diameter than it's metal predecessors, with a button end. This is a small pen but a bit larger than vest pocket size, likely meant to fit into a handbag or perhaps into a shirt pocket. 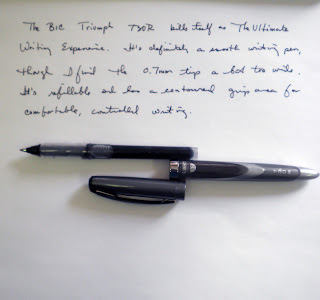 The nib looks like it's a fine point, and one of the smoothest writers I've got (all of my vintage pens have fantastically smooth-writing nibs, while my modern pens seem to be temperamental). 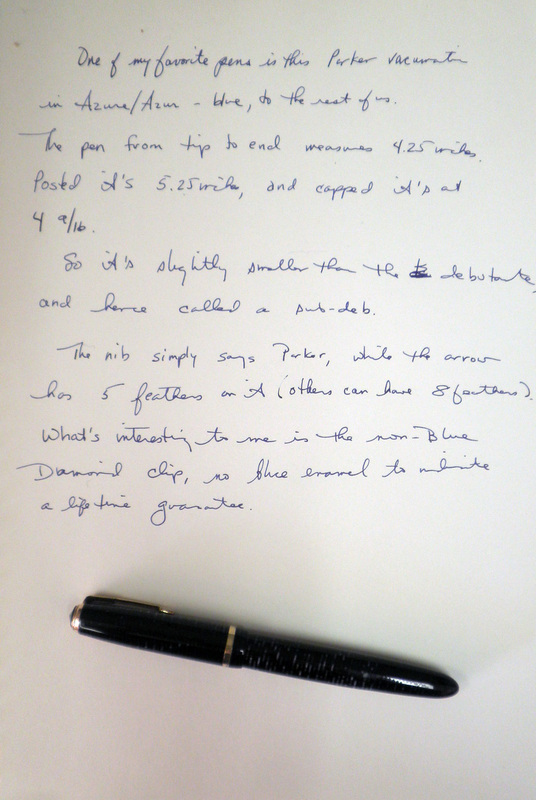 From what I've seen, the transparency is okay (I have to hold it up to the light to see through it) while the imprint (Parker Parker Vacumatic USA Pat) is clear and fairly deep. What's interesting to me is the clip, which is a non-blue diamond that came about in 1947. Reading around I've learned that the blue enamel on the diamond at the top of the clip indicates a lifetime guarantee. 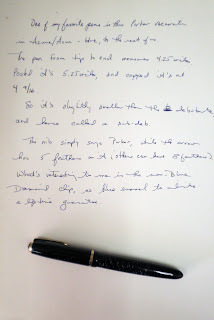 The nib simply says Parker and the arrow has 5 feathers to it (some nibs have 8). 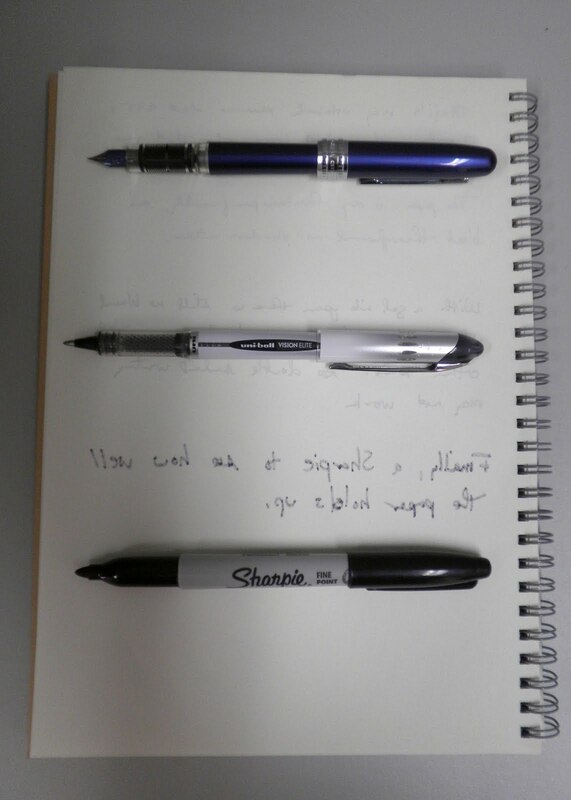 Next to my Parker Sonnet you can really see the size difference, both length and diameter. The jeweled tassie on the cap adds a nice touch, while the blind cap at the end (the part over the filler) is plain and sleekly curved. I like the profile of this pen, and the single gold-filled band just gives it a touch of sparkle. Totally forgot about this (September was a busy month), but Tiger Pens posted an interview with me on their wonderful blog. Many, many thanks for the ego boost! 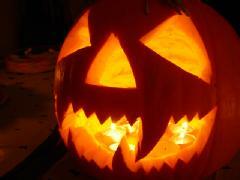 Economy Pens is hosting the Carnival, head over and take a look at all the great posts. 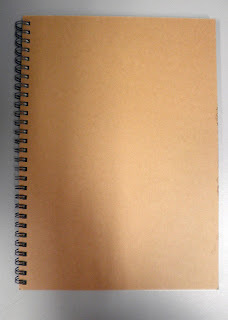 I am not fond of double ring notebooks, as I've had problems in the past with the end rings separating and catching on my clothes or other things. 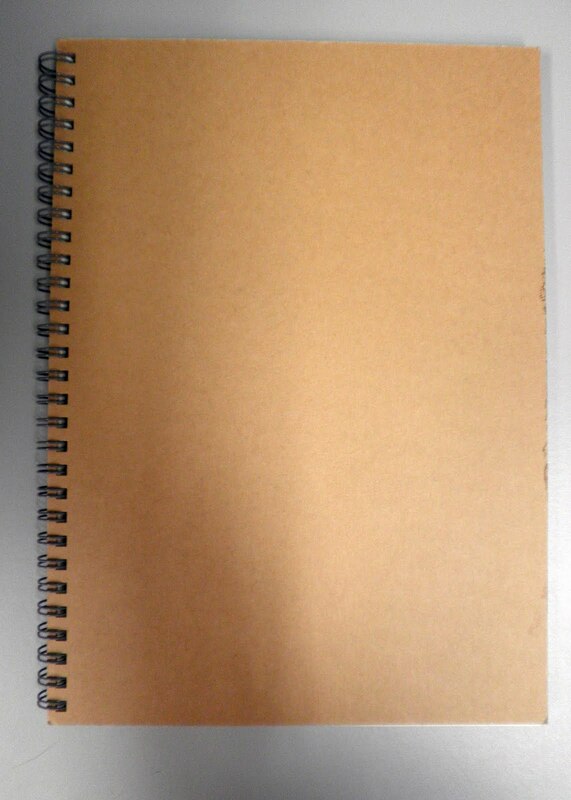 But this Muji beige double ring notebook caught my eye for its unusual shape: 6.9 by 9.8 inches. 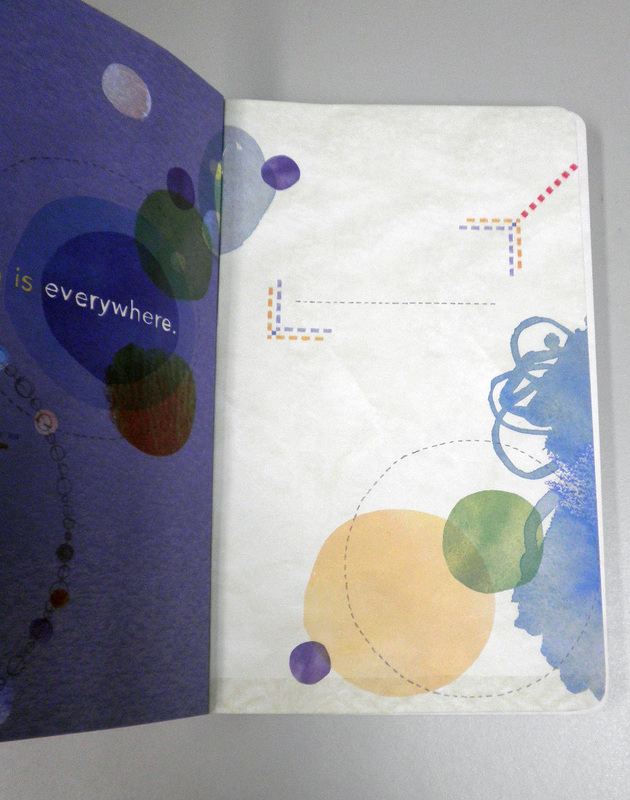 It's a hard cover as well, so notetaking using my knees as a desk top works out okay. The blank paper also made an impression: the pictures don't capture the color, but it's a very deep ivory with a lot of weight to it that I don't expect in recycled paper. 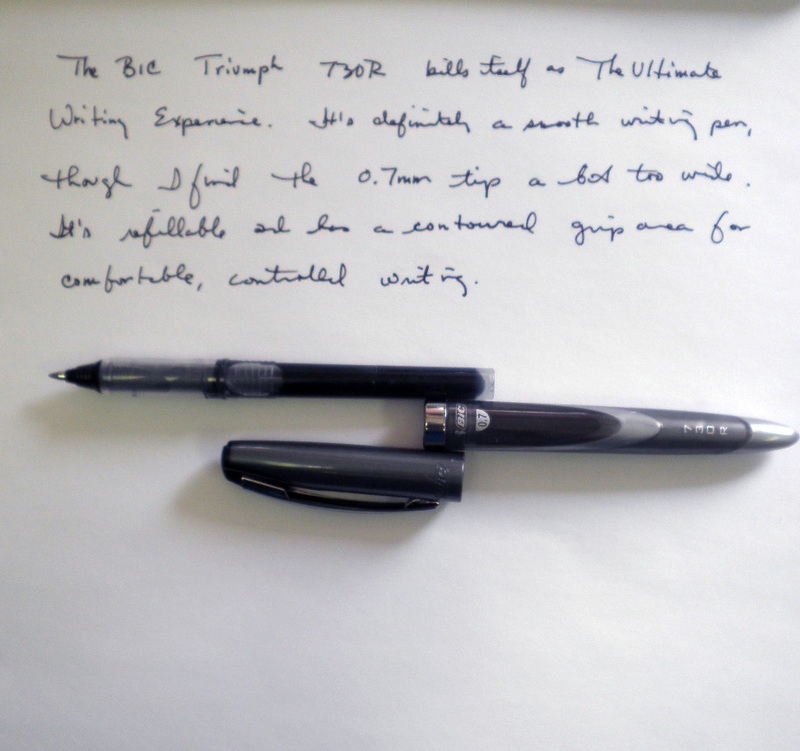 It's also got a very smooth surface, making writing a pleasure. 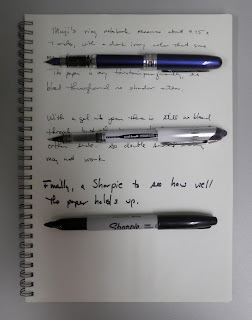 The paper (80 sheets, by the way) is also fountain pen friendly, and does pretty well with gel ink pens. 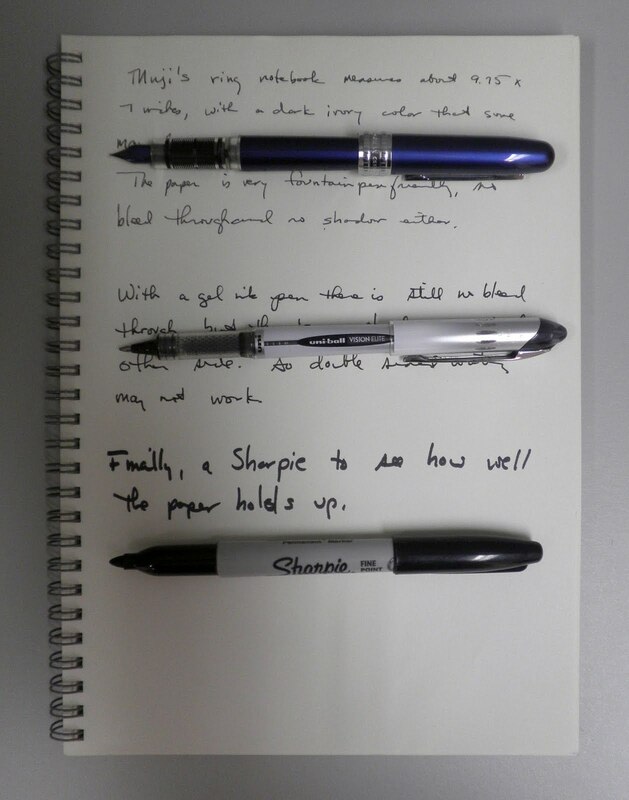 The ultimate test is a Sharpie fine point, and there the paper couldn't keep back the bleed through. 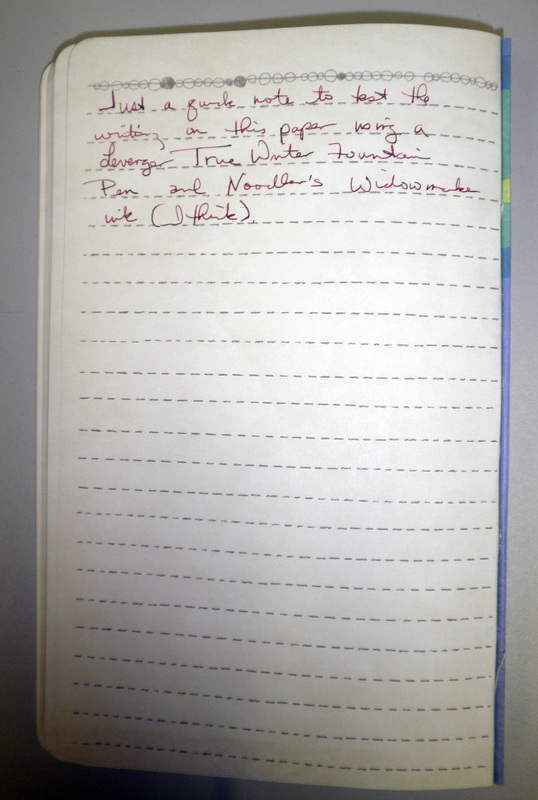 But the paper did absorb the ink quite well, so there was not dotting or ghost writing on the following page. 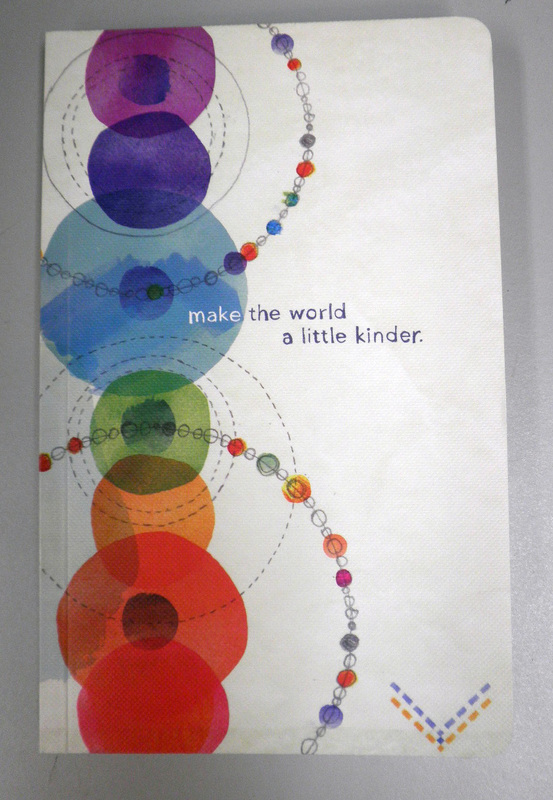 All in all, a good notebook and something I'm going to enjoy using. But I will have to stop by one of the NYC stores and check out this recycled dot notebook, which comes in an A6 pocket size.